Looking for a professional real estate WordPress theme? Of course you are! I originally wrote this post in 2009, but since then a lot of the theme listed on this page had disappeared… so I've updated it with the one theme that has still been going strong. All of the essential features of the OpenHouse theme have been included in the Open Door theme. The Open Door theme is a fully responsive real estate theme. Pretty much all of the best features of Openhouse/Automotiv have been ported over to OpenDoor. But there are some notable differences. The following are features OpenDoor has that OpenHouse/Automotiv doesn’t. Has more layout and appearance options. (independent control over header, footer, background colors/images), change header height, etc. 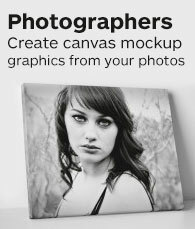 Allows you to easily add your own image-less banner types in Theme Options. Even define a color tip for each banner type. Has more search parameters. And each search parameter can be included or excluded in Theme Options. More advanced homepage slideshow. Slideshow expands to full width of site. Both real estate mode (standard and dsIDXpress version) and car dealer mode, are built into this single theme. No more separate versions for me to maintain. Mark a listing as ‘Sold’, and then have site filter out all sold listings from the site without you needing to Delete the listing. Have a page of all ‘Sold’ listings. Documentation is now a public Google Docs document, where you can post comments if you find something is inclear or missing. To post comments, you must be logged into your Google account. But you don’t need a Google account to view the documentation. Why You Shouldn't Use A Free WordPress Theme For Your Real Estate Website. If you're in business and I'm assuming you are your website is the last place you should be cutting costs. Using a free wordpress template to power your businesses website is just plain negligent in my opinion. I've seen the majority of free wordpress templates that are supposedly for agents and I'm being fairly nice when I say they are hideous at best. Design matters to people. Good design says something about you. If your site shouts “Amatuer!” people are going to leave with a negative feeling about you and your business. That's not what you want. Zero Support: Free templates don't come with support, so if you have a question you'll be looking long and hard to find an answer. Not so with premium themes. Author Credit: This is usually by the means of a link(s) in the footer of your site. I'm all for giving credit where credit is due but I'd rather not be obligated to link to someone if I don't want to. Clumsy Coding: On screen many wordpress themes look ok, but underneath in the actual PHP/HTML/CSS the coding may not be as well written as it could be. SEO Neglect: I can't honestly name one free theme that was designed as SEO friendly as say Thesis has been. When you look under the hood at some of these free wordpress templates floating around you'll be amazed at what's going on behind the scenes. Anyway, that's my two cents on using free themes. I know, I know… all wordpress themes can be fixed (it's something I offer as a service) or customized. Even the premium wordpress themes listed above will need some kind of customization.. ie. logo design, color scheme change, possibly even PHP or CSS tweaking to get it to do exactly what you want. That's just part of the process. Don't be hindered though,, using wordpress with a nice premium real estate theme will pay off in the end. Trust me. Great points. I have had great success with Thesis. I recently switched each of my 12 blogs to Thesis and have no intention of ever changing! The theme is highly customizable, the support is perfection, the sites look great, and Thesis is an seo beast. SEO is the bottom line when you have a web site. If the search engines can’t find you, you simply don’t exist. Anyone who is looking for a theme should click through the gold link to the right and buy Thesis. It’ll be the smartest investment you ever make – outside of a latte from Starbucks. These are very beautiful. thanks for post. Thank you for your great review of our own Smooth Real Estate theme with Google Maps integration and the mention of The Bel Air Real Estate, very much appreciated. Hey Carlos,, no problem. Keep up the great work. Hey Joi, glad you’re having success with Thesis. It is a great investment in my opinion. It still needs customization to get it to look good but it’s a better framework to work from since you can keep your design separate from the main files. Saves you from a lot of extra work in the future. These premium themes look extremely profesional and well done. I want to buy one but cant decide between Agent theme and WP Pro Real Estate Theme. Any one has tried them both? any feedback? Homeowners was just released and Smooth has been updated with tons of new features-enhancements. Perfect, I’m looking for a real estate theme and this selection has helped me decide on which on to go with. Going from the list above I decided to go with Ithemes after giving thesis a shot as well. For everyday people looking to make a decision I hope these tips are helpful. 1. Thesis is NOT a theme! 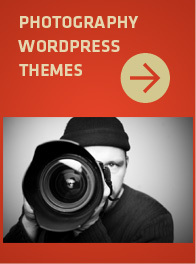 It really shouldn’t be called a theme at all, it’s a program to build your website. If you don’t have the time or desire to learn how to build a website this is not for you – to make it a rock star site you need to invest alot of time and having some programming knowledge is a plus. If i had the desire and time I would have stuck with it because I can see how it’s a very good product. 2. I started noticing the support for some of these products is provided ONLY with forums. This is certainly true of IThemes – therefore if you have an problem then you have to post your question and wait for a response. This isn’t a plus or a negative just something to be aware of. If you are under the impression that support comes in the form of telephone service or something along those lines you might be mistaken. Check out the FAQ’s before purchasing, that should help. I understand where you are coming from. Thesis is a bit more complicated because it is more of a framework with a generic theme that you have to customize. It does take a bit more work to customize thesis but I can guarantee you if you use Thesis right that it will help your search engine rankings. That’s if you use it properly. But with some work virtually any wordpress theme on the market can be optimized to achieve good rankings. A client of mine purchased your theme. he didn’t realize that there’s a script within it that blocks google embedded in ireal. If scripts are turned off it goes directly to the login page and causes google to believe that you only have one page. Hi Christian, I don’t actually sell any wordpress themes here as of yet so you need to find out what theme your client purchased and go directly to the creator for support. I don’t fully understand your question either so I can’t help you there. There shouldn’t be anything that blocks google from indexing your site. Hey Cody, yeah I’ve listed your Elegant them as the first one (biggest screenshot)… if you didn’t notice… great theme btw. Very nice. Oh jeez… I feel silly now. Must have scrolled by too fast. Thanks for including us. Hi Jesse, a theme is template and changes the appearance of your blog. 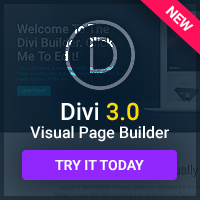 A plugin just adds some kind of functionality to your blog as an add-on. They are two totally different and separate things. Carlos – another great theme! You’re doing some nice work over there. On another note, all the themes will sport this new framework with the first update to be released today with a new redesign for the Smooth real Estate theme. It looks like quite a few agents are using the Agent Theme in our city…I guess you guys have been successful in getting the word out there. Excellent list, working on a real estate website right now. Anyone worked with the Google Real Estate application before? Very nice post Jeff. Although I still was not able to find what I’m looking for. It’s driving me nuts. I need a theme that allows USERS to upload properties with pictures. The only one I know that does this is the Thematic Real Estate Theme but I’m having so many issues customizing it that I’ve given up on and looking for a new template. I’ve been searching for days for themes, plugins, widgets and nothing. Any way you could advise on this? Thanks for the complete run down. Had gotten to the point where all looked like cookie cutter. Many were pretty but not all the functions needed specific to market. Every real estate market, broker is different and the tools they use, video, blog posts all put together different for smooth flow. Too many sites have big chunks glued on and look clunky. Add ons the wrong size, color and not a match. Will keep checking your site. Have started a joomla site and putter at it when time allows. Thanks for sharing! Yes, you need to usually purchase the framework and also a child theme. Just looking for a single home theme. i.e. selling our house and putting it up on the web with a “street address” url. Does anyone know of themes that might work for this? Hi Phil, the free wordpress 20by20 theme that comes with wordpress will work just fine for this. I assume you just need a basic theme to post pics and info correct? If so then yes,, it will work perfectly for that. These themes are very impressive and I am glad to read this informative post. Thank you so much for sharing it.